1859 marks the first year of Indian Head cents and the second official small cent series. Much like the Flying Eagle pennies that preceded them, 1859 Indian Head cents are made from a copper-nickel composition, giving these early pennies more of a whitish appearance than the bronze pennies of latter years. The Indian Head penny was designed by James B. Longacre and is commonly thought to depict a Native American of one tribe or another. In fact, the model for the Indian Head penny is believed to be Sarah Longacre, the designer’s 12-year-old daughter, who was playfully crowned with a traditional headdress by a visiting chief. The figure on the obverse is actually supposed to be that of Miss Liberty. 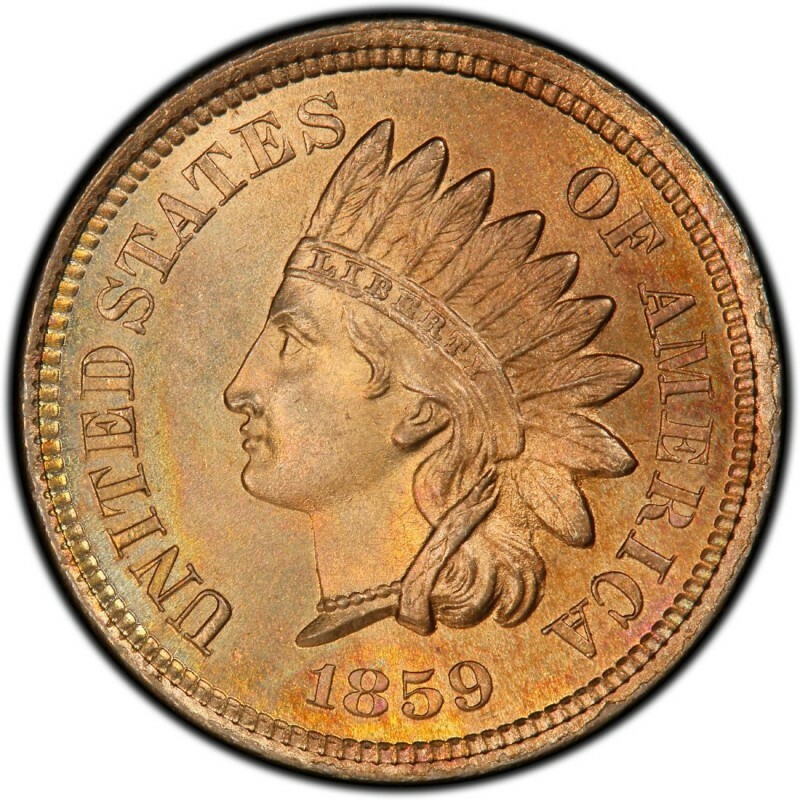 The 1859 Indian Head cent is available in both a business-strike and proof specimens. 36,400,000 business-strikes were made while 800 proofs were produced. Circulated 1859 Indian Head pennies in a grade of good sell for around $14, while the much rare proof specimen has a value of around $5,200. 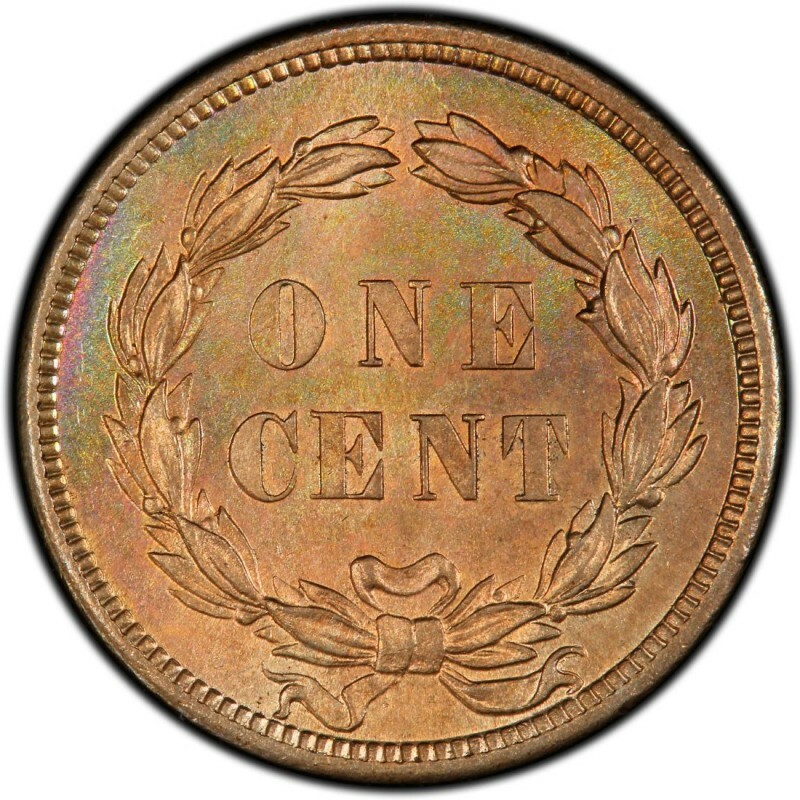 In 1859, the reverse featured the words ONE CENT encircled in a laurel wreath. This is the only year that design would be employed on the Indian Head cent. The following year, an oak wreath with shield would grace the reverse of the coin. The Indian Head penny would be struck for 50 years and is the design that immediately preceded the Lincoln penny, which would first enter circulation in the summer of 1909. 1859 Indian Head pennies are widely collected both by date for inclusion as a part of the entire series and as a type coins representing the copper-nickel Indian Head pennies, which were made from 1859 through 1864.